FOR RENT: ONE UNIT IN THIS FRESHLY RENOVATED 2 BEDROOM BUNGALOW STYLE 2 FAMILY IN ST. ANN is going to make a comfortable home for you. The ample living room has two huge windows, beautiful hardwood floors, and ample space for your couch and flat screen. Two nice sized living rooms with large closets, ceiling fans and hardwood floors give you space for your family or a nice space for home office or guests. The eat in kitchen features lots of cabinets, stove and fridge, room for your dining table and direct access to a huge back yard ideal for grilling and chilling!! The bathroom has just been updated with beautiful tile surround, new vanity and good lighting. Full basement doubles your living space and gives you a ton of storage space. Laundry hookups in basement, so bring your own washer and dryer. Outside, there is a side driveway with room for at least two cars. 1 year Lease or longer. Max Occupancy 4 people. FOR RENT ONLY...NOT FOR SALE...BACKGROUND&CREDIT CHECK REQUIRED...NO PETS! Driving Directions: St. Charles Rock Road to North on Geraldine to address. 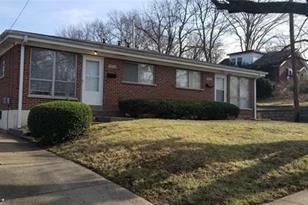 Less than 1 mile to St Louis Lambert International Airport. 2 Short blocks to park. Lots of shopping along the Rock Road. Easy access to 70/170/270. 3926 Geraldine Avenue, Saint Ann, MO 63074 (MLS# 19010972) is a Single Family property with 2 bedrooms and 1 full bathroom. 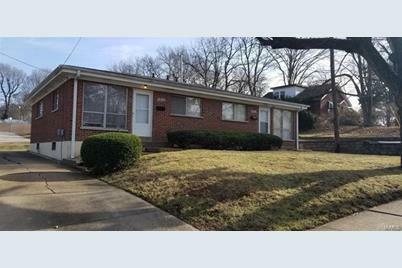 3926 Geraldine Avenue is currently listed for rent at $750 and was received on February 25, 2019. Want to learn more about 3926 Geraldine Avenue? Do you have questions about finding other real estate for sale or rent in Saint Ann? You can browse all Saint Ann rentals or contact a Coldwell Banker agent to request more information.